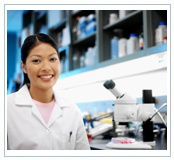 In California, beginning 2008, Laboratory Field Services (LFS) no longer administers the State Administered examination for Clinical Laboratory Scientist (generalist) and for three categories of specialists (limited) licensing (clinical chemist, clinical microbiologist, and clinical toxicologist scientist). Select one license category: Clinical Laboratory Scientist (CLS), Clinical Chemist Scientist, Clinical Microbiologist Scientist, Clinical Hematologist Scientist, Clinical Toxicologist Scientist, Clinical Immunohematologist Scientist, Clinical Cytogeneticist Scientists, Clinical Genetics Molecular Biologist, or Clinical Histocompatibility Scientist. The following certifying organizations are now approved by the Department of Health, Laboratory Field Services for California licensure examination. Applicants who are certified prior to above dates must re-take the certifying examination and request a copy of their satisfactory performance to be sent directly to LFS. 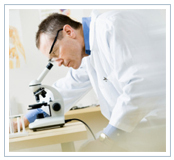 The American Medical Academy Clinical Laberatory Scientist Review Class consists of comprehensive live interactive lectures and covers all areas of laboratory practices, including: Body Fluids, Related Science, Hemostasis, Hematology, Immunohematology, Immunology, Serology, Chemistry, Parasitology, Mycology, Virology, Microbiology and Laboratory Management. This review program is designed to give students with an in depth refresher on key clinical laboratory practices; providing interactive guidance to sharpen their knowledge and confidence to successfully pass the national certification exams. 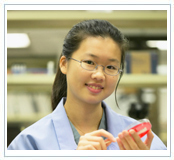 The American Medical Academy (AMA) Clinical Laboratory Scientist Review Program is designed to help students prepare for the ASCP, ASCPi and AAB National Certification Examinations. The Clinical Laberatory Scientist Review Class consists of 10 consecutive Sundays, with each class session averaging seven hours of live lectures on laboratory disciplines and in-depth case analysis discussions. AMA may also schedule an additional day of Final Coaching; this comprehensive one-day session is usually scheduled one month prior to an exam date and open to all current AMA students and Alumni who have registered for the national certification exam(s). The Final Coaching review session is highly interactive, it is designed to test and sharpen the student’s knowledge, comprehension, critical thinking and problem solving skills. These elements are essential to increasing the student’s proficiency and further reinforce their success in passing the exam. 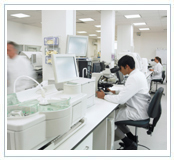 The AMA Clinical Laboratory Scientist Review Program is intensive; it is strongly recommended that students commit to a disciplined study time and attendance of all class sessions. 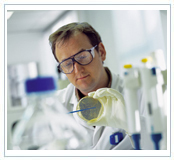 Comprehensive lecture materials, hand-outs and practice questions are provided to refresh and refine the student’s knowledge of key laboratory disciplines tested on the certification examinations. AMA limits each class size to approximately 25 students per semester to best maximize the instructor/student ratio, this policy provides students with a more personalized guidance from the AMA staff and educators. AMA highly promotes a “team spirit” atmosphere, by supporting and encouraging all AMA students and alumni in developing positive friendships that lasts a lifetime. 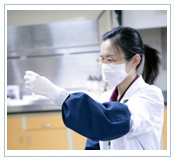 For more information on current CLS Review Program Schedules, please click on the Medical Technologist tab. The NCLEX sets the standard for all nursing professionals. It tests your knowledge and understanding of critical core concepts learned in undergraduate and certificate programs. It requires that you demonstrate the national minimum competency level expected of a graduate from a nursing school or institution. Passing the NCLEX is important for nurses to obtain a license to practice in the State where they intend to work. American Medical Academy conducts a comprehensive review of theoretical knowledge and application of nursing process and patient’s needs. This program is designed to give students an in depth perspective of nursing practices and provide them with the knowledge and confidence to successfully pass the respective national licensing exam. 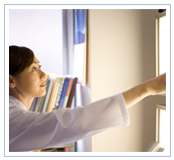 Review classes for the Licensed Vocational Nurse combines weekend and weekday classes. The weekend classes consists of 8 hours of live lectures and the weeknight classes are conducted in 4 hour segments, totaling an average of 64 hours of live comprehensive review. Refresher courses for the Registered Nurse are held for 10 consecutive Sundays. Each class session consist of approximately 8 hours of live interactive review, totaling an average of 80 classroom hours for the entire course. A disciplined study time and commitment is strongly recommended for these intensive review courses. Comprehensive reading materials, hand-outs and practice questions are supplied to students; providing them with information that will further expand and refine their knowledge. Use your knowledge to get ahead. Learn test-taking skills and gain confidence to overcome test anxieties with positive results.